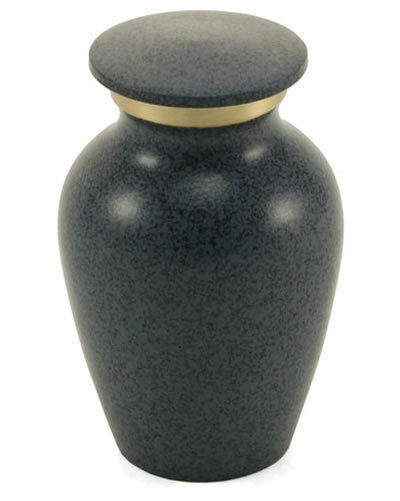 The Dark Blue Granitone Brass Cremation Urn is a solid brass urn handcrafted using a very old sand casting process. 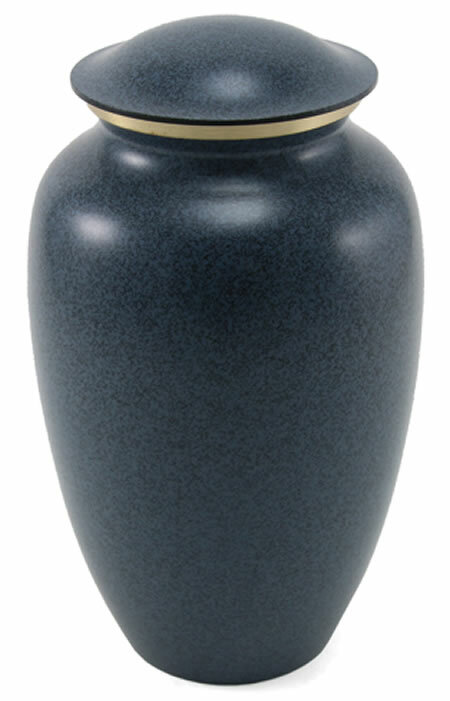 The urns have a deep blue finish with speckles of black and an even deeper blue color accented by a brass band around the lid. The finish resembles blue granite. The urn and keepsake are top loading with secure threaded lids. 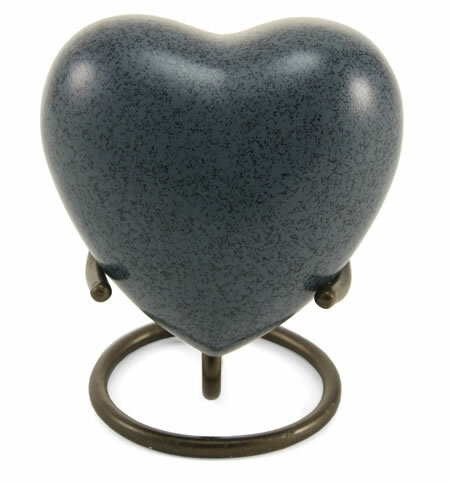 The heart keepsake has a bottom threaded opening. Engraving: The Large Urn and Matching Keepsake can be engraved for an additional fee. Click on Detailed Images to see samples of Engraving Fonts. The small matching keepsake can have only TWO LINES with no more than 12 characters per line, or ONE LINE of Text plus clip-art. Please limit engraving on the Large Urn to no more than three lines with no more than 30 characters (letters/numbers/spaces) per line, or TWO LINES of Text plus Clip-Art. Please be sure to put capitalization and punctuation where you want it. Engraver will engrave exactly as you submit your engraving request.